Big Little Lies season 2 image handout. Reese Witherspoon (centre) and Nicole Kidman (2nd from right) pictured. What a day to be alive for TV fans. While Game of Thrones mania has taken over the world, with the first episode of the final season premiering today, fans have been given a sneak peek of another hotly-anticipated series. Big Little Lies is set to return for its second season in June on Foxtel, and HBO have released the first trailer for the award-winning show starring the 'Monterey five': Nicole Kidman, Reese Witherspoon, Shailene Woodley, Laura Dern and Zoe Kravitz. 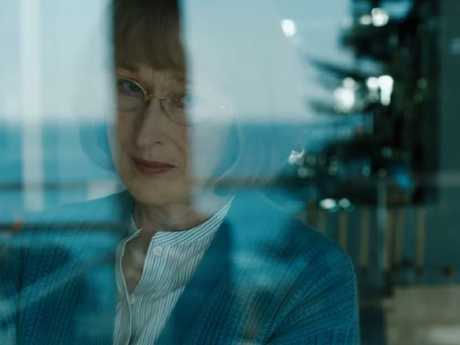 Notably, we're introduced to the one and only Meryl Streep who joins the cast as a new character Mary Louise Wright. She is demanding answers about the death of her son Perry (Alexander Skarsgard) - Celeste's violent husband. Fans will remember that cliffhanger season ending when the five Monterey women fought back against Celeste's violent husband, Perry, knocking him down a flight of stairs to his death. Meryl Streep’s character is coming for the ‘Monterey five’. In the new trailer, there is a scene at the end where Streep's character makes a veiled accusation at Madeline (Witherspoon) about the death of her son - leaving her stumped and unable to answer. "I want to know what happened that night. I'm very tempted to ask you but I don't think I would get the truth, would I?" she quizzed. 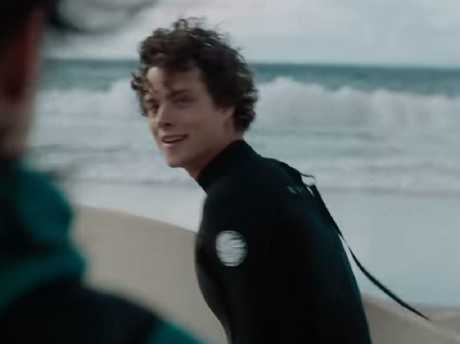 There is also a tense moment when an unidentified man with a surfboard approaches Jane (Woodley) and asks: "You're one of the Monterey five, right?" She then asks him what he means before confiding in Madeline, Celeste and Renata (Dern) in a car, saying: "We all have scarlet letters on our backs." Big Little Lies 2 will drop in June. Stars of the show have taken to social media to tease the trailer with Kidman uploading a photo with the caption: "Secrets always surface … #BigLittleLies Season 2. June 9th." Despite his death, there are whispers Perry's character will be returning for the second season. Fans have speculated that either he didn't actually die, or is possibly returning in flashback form - which is the most likely scenario. Things don’t look to great for the girl gang.